One of the most painful aspects of the traditional divorce process is that it seems to drag on forever. Clients are hauled through case management conferences, temporary relief hearings, depositions, motion hearings, pre-trial conferences, and, finally, oftentimes years later, trial. But this does not need to be the way you go through one of the toughest times of your life. 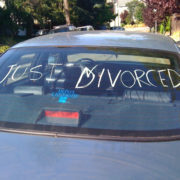 There is a quicker way to divorce. Divorce can be one of the most turbulent times in your life, and so it makes me feel good when I can help clients gain a sense of empowerment and stability. In a recent review on Avvo.com, a former client of mine discusses how our firm and the collaborative process helped her take back control of her life. FLORIDA BAR NOTICE: Please note that every case is different, and that you may not receive the same or similar results. https://familydiplomacy.com/wp-content/uploads/2016/12/Family-Diplomacy-Logo.jpg 0 0 Adam https://familydiplomacy.com/wp-content/uploads/2016/12/Family-Diplomacy-Logo.jpg Adam2016-11-16 08:05:022019-04-03 09:26:57Divorce Lawyer Reviews: "I felt empowered and more in control of my life and my divorce." More and more people are deciding that they want to avoid the traditional adversarial divorce court system and instead handle their family law matter privately and respectfully via the collaborative process. In collaborative divorce, each spouse receives independent legal advice from his or her own attorney, and the attorneys are retained solely for the purpose of reaching an out-of-court agreement. Oftentimes, experts will be brought in to help with parenting or financial issues. As collaborative divorce is becoming more popular and since Florida Governor Rick Scott signed the Collaborative Law Process Act in March 2016, more attorneys who are steeped in the old system of divorce court are now advertising that they offer collaborative services. The issue is that the skillset needed to successfully help clients reach dignified agreements in collaborative practice is very different than the skillset needed to be an aggressive trial lawyer. Below are four questions you should ask any attorney you are interviewing to possibly represent you in the collaborative divorce process. I strongly suggest that any person who is in the initial stages of a Florida divorce consider engaging in the collaborative process from the very beginning. This simply means that each spouses hires an attorney solely for the purpose of helping them reach a divorce agreement. The attorneys are contractually prohibited from wasting time and money on preparing for trial (90% or so of all divorce cases settle, yet millions and millions of dollars are spent each year preparing for a trial that rarely happens). Discussions are held in a private, respectful, and transparent atmosphere, and other professionals are brought in as needed to tend to the parties’ financial and emotional needs. But some clients are resistant to the collaborative process because of perceived cost issues or they feel they need to have a gunslinger to take out their spouse. And many attorneys will not engage in the collaborative process because litigation work is pretty profitable or they have not invested the time and money in taking an introductory collaborative training. And so there are plenty of divorce battles going on in the Florida court system. It is not uncommon for those battles to go on for two, three, four, or more years, and for the parties to spend hundreds of thousands of dollars in attorneys’ fees, expert witness fees, deposition fees, document production fees, forensic evaluation fees, court reporter fees, and so on, and feel no closer to a final resolution of their divorce. But there is something that can be done to change the dynamics.